I was on the way home yesterday (Tuesday), and couldn't help but notice this vehicle just ahead of me. 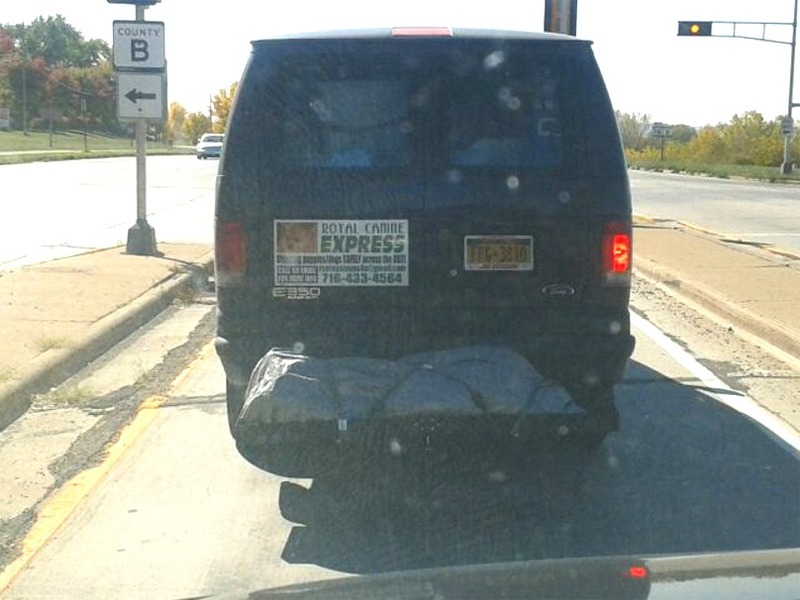 Look carefully and you'll see it's fom a company called Royal Canine Express, which apparently specializes in safely transporting dogs around the country. Now, I'm sure they do a great job, but look below the sign and you'll see something wrapped up in a tarp on the hitch platform. Could that be??? ?